Boo Saville (b.1980, Norwich) studied at the Slade School of Art, London. From 2003 she formed part of the WOWOW! Collective in South London with the artist Matthew Stone. In 2007 she was a nominee for the Sovereign Painting Prize, and in the summer of 2008 she worked on a residency in Paris at the Cite des Arts. Her first solo show was at Martin Summers Fine Art in 2008. Saville is currently represented by TJ Boulting (formerly Trolley Gallery) where she held her third solo show in 2012. She also produced an edition of unique prints with Other Criteria and more recently an edition of etching with Alteria Art. 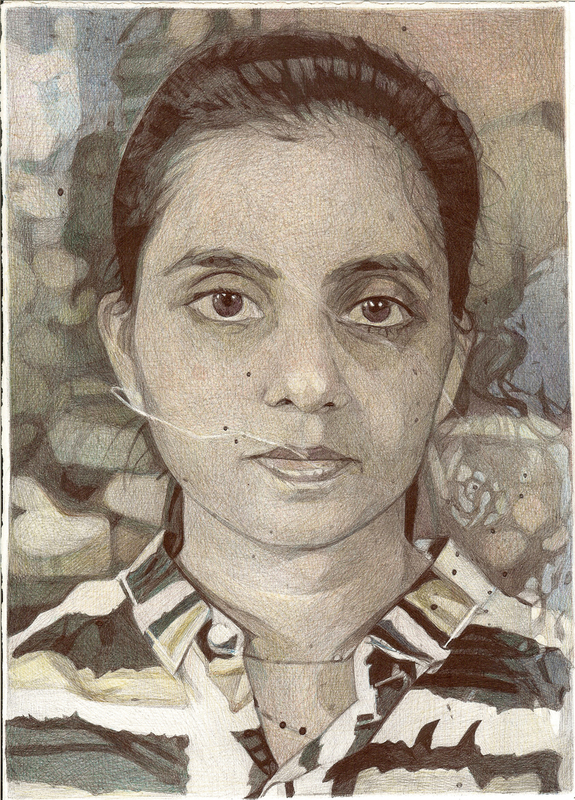 This year her work was part of a survey of new British artists at MOCCA, Toronto and she currently has a drawing in the 2013 Drawing Biennale at The Drawing Room, London. Her work has been acquired by The Museum of New and Old Art, Tazmania, The Maramotti collection and the Soho house group. She was recently featured in Francesca Gavin’s book on British artists under 35 years old and also ‘Hell Bound: New Gothic Art’. She has featured in Vogue’s ‘British talent’ special, Art Review, ES Magazine, Saatchi Online, The Times and The Independent.